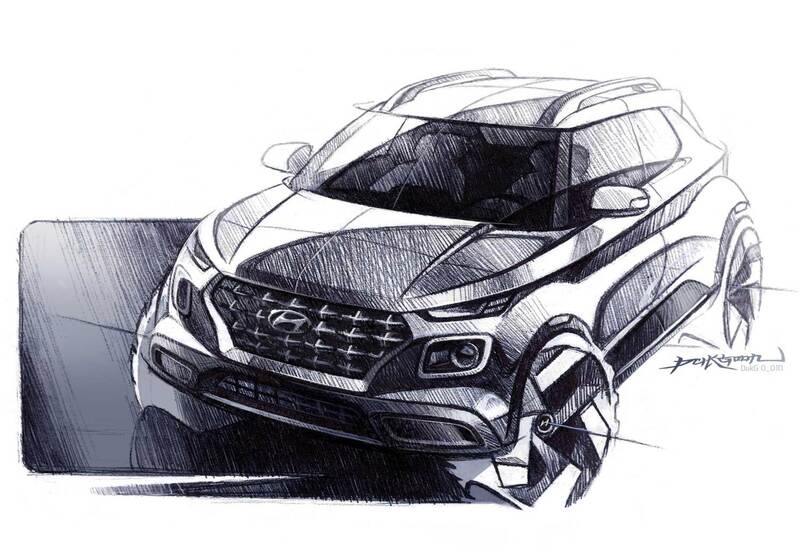 Hyundai India has shared some more details and sketches of the Venue SUV ahead of its world debut at the 2019 New York International Auto Show. 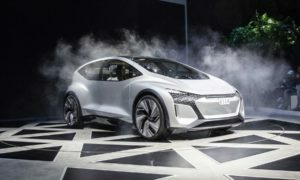 The Venue is being billed as “India’s first connected SUV”. 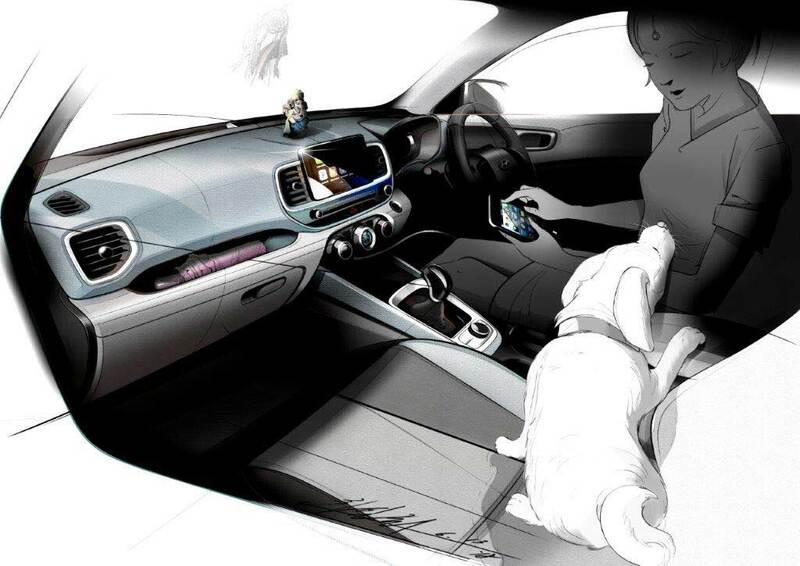 The vehicle will feature Hyundai BlueLink – Hyundai’s global connectivity technology which will be introduced in the Indian market with 33 features, out of which 10 would be India specific features, apparently. These are about Safety, Convenience and various Vehicle Management Relationship Services. Hyundai says that the BlueLink has been rigorously tested in India keeping in mind the customers’ day-to-day needs, the challenges faced on Indian roads while driving and most importantly, the safety of the occupants and that of their vehicle. The SOS (Save Our Souls), Road Side Assistance and BlueLink button are located on the Inside Rear View Mirror (IRVM) for easy accessibility. The BlueLink also provides Vehicle Theft Tracking and Immobilization for recovery of stolen vehicles. Speed Alert, Geo Fence Alert, Panic Notification (for any medical emergency), and Share Destination are included as well. On a lighter note, the idol is not included as standard. The remote control functions like Engine Start/Stop, Climate Control, Door Lock/Unlock, Horn Honk & Light and Vehicle Status are also the key selling points of this Connected SUV. The Hyundai BlueLink comes with an in-built device powered by Vodafone eSIM and a Cloud-based Voice Recognition platform from a global AI (Artificial Intelligence) company. The device will project Real Time Traffic Navigation and Live Local Search in collaboration with a global Map company. 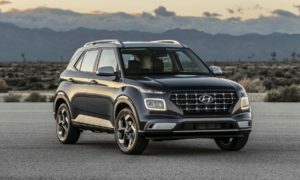 Another interesting aspect about the device is the Interactive Voice Recognition and the ability to catch any local English accent, which has been developed specifically for customers from different regions in India, Hyundai said. Part of the safety features is an Automatic Crash Notification (ACN) and Assistance. The Primary owner of the car can add other family members or friends so that they’ll receive emergency notifications in case of any distress. 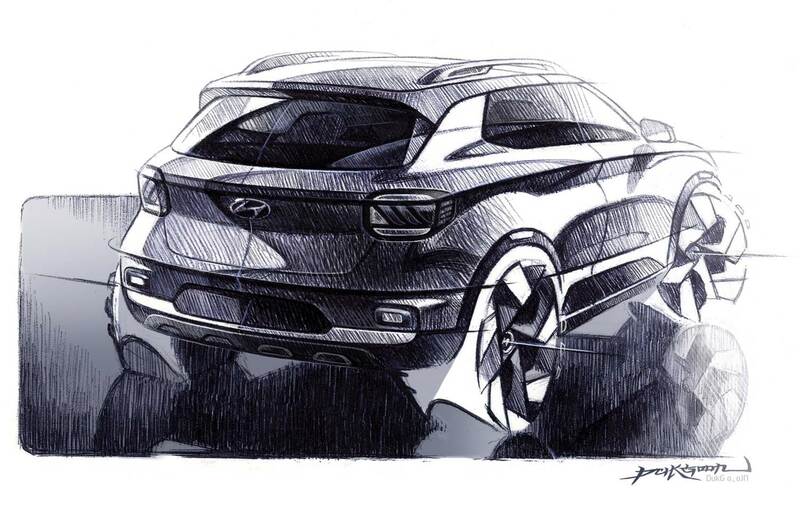 The spy shots below give you an idea of the production design of this sub-4m compact crossover.